Natalie Scenters-Zapico is from the sister cities of El Paso, Texas, USA and Ciudad Juárez, Chihuahua, México. Her debut poetry collection The Verging Cities (Center for Literary Publishing, 2015) won the PEN American/Joyce Osterweil Award, the GLCA’s New Writers Award, the National Association of Chicana/o Studies Book Award, and the Utah Book Award. The Verging Cities was also featured in Poets and Writers, LitHub, and the Los Angeles Times. Her second book, Lima :: Limón is forthcoming from Copper Canyon Press. 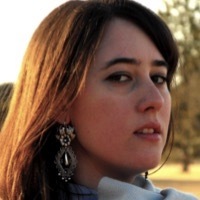 A CantoMundo fellow, her poems can be found or are forthcoming in Poetry, Best American Poetry 2015, Tin House, American Poets, The Believer, The Boston Review, and more.